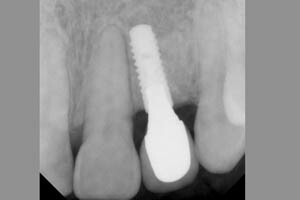 Dental Implants should be placed by Surgical Specialist and Drs. Dennis Nishimine, Dee. C. Nishimine & Sophia Y. Tseng are Surgical Specialist. They have taken 3 years of advanced training beyond the 4 years of Dental School. Ask your dentist if they have taken a surgical residency if they want to place a dental implant for you. 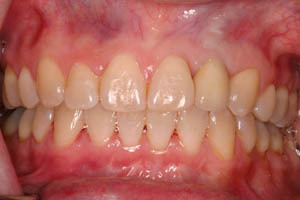 You will receive Oral Hygiene Instructions (OHI of brushing and flossing) throughtout the course of your treatment. Good oral hygiene, eating habits, and regular dental visits will aide in maintining the health of your dental implant. We want this to last you a lifetime and your two hands and understanding are the key to success. This is a very BEAUTIFUL SMILE!!!!! " I have had bad teeth all of my life and I never wanted dentures. 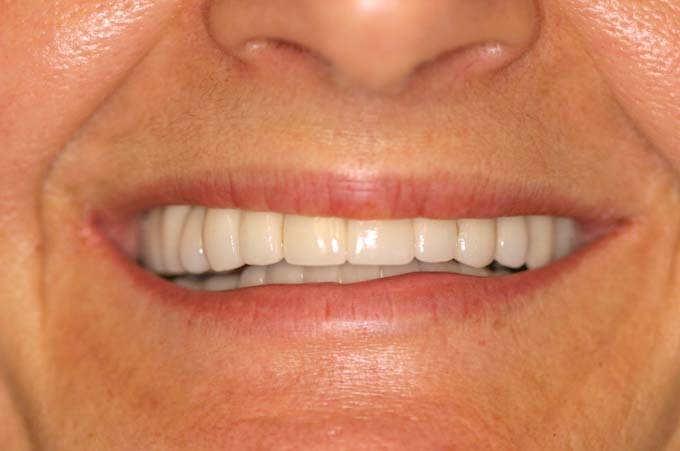 With dental implants I have resolved my problems and have a BEAUTIFUL SMILE!" 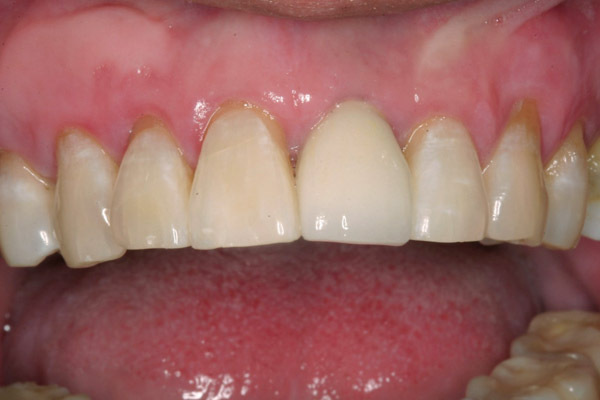 This case has multiple dental implants and with "perfect treatment planning makes a perfect smile." 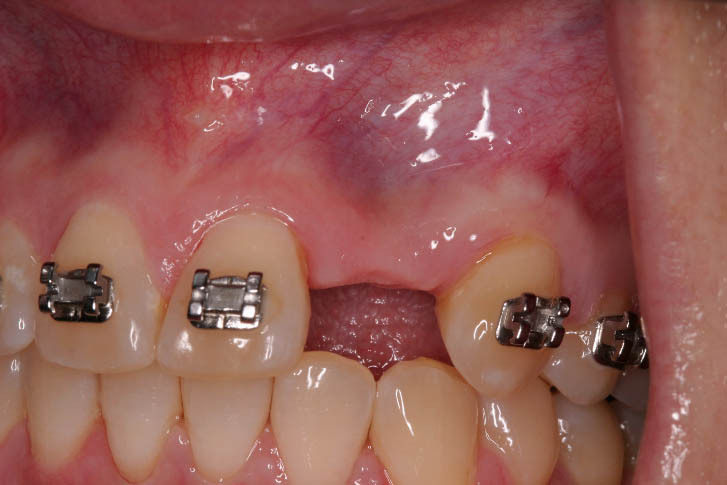 This was a very complicated case we provided some 10 years ago and you can easily avoid full dentures with the utilization of dental implants. Dental implants should be for a lifetime with good OHI of Brushing and Flosssing and follow up with your general dentist and our office as well. This is an investment in your health and your SMILE!!!! Patient lost tooth due to a condition known as "external root resorbption" and asked for a replacement tooth also called a Dental Implant. 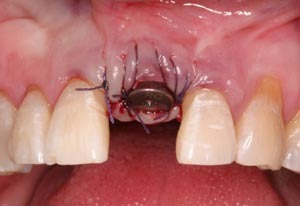 Shows tooth extracted and Titanium implant inserted. A beautiful smile has been restored. X-ray #1 shows: The tooth that unfortunatly has to be removed. 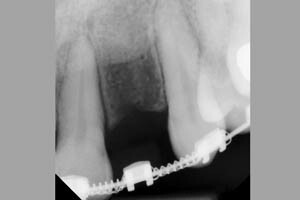 X-ray #2 shows: After the tooth is removed, a Titanium Implant is inserted to support the New tooth. 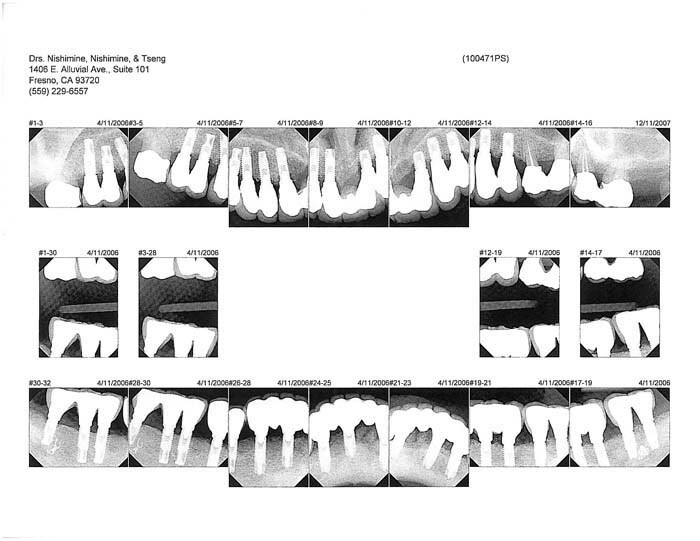 X-ray #3 shows: Titanium Implant with tooth attached.